Home » ccna exploration 2 final Exam » Refer to the exhibit. If the EIGRP routing protocol is used throughout the network, which IP address and mask prefix should be sent by router R1 to the Edge router as a result of manual summarization of LANs A, B, C, and D? Refer to the exhibit. 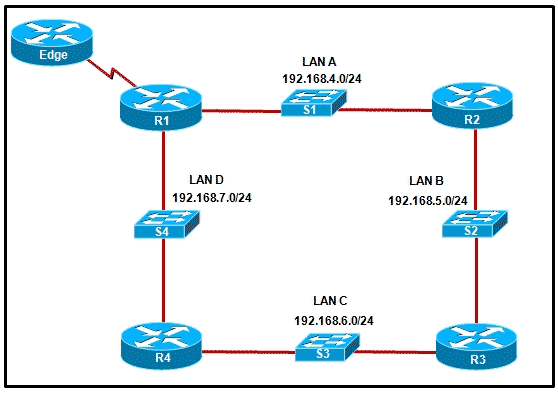 If the EIGRP routing protocol is used throughout the network, which IP address and mask prefix should be sent by router R1 to the Edge router as a result of manual summarization of LANs A, B, C, and D?